The midsummer Grand Slam event is under its way. All tennis amateurs and fans are looking forward for the Wimbledon Championship, the oldest tennis tournament, to start this Monday. There are many exciting occasions ahead of us. Will Roger Federer be able to lift another Wimbledon crown and justify his presence on tour this year? Secondly, it’s very curious to see how the Roland Garros defeat against Wawrinka will affect Novak Djokovic play and whether he’ll be able to defend the title. Thirdly, the local fans are dreaming of Andy Murray’s victory so it would be also of great interest to watch the Scot’s performance. And will Rafael Nadal get through the first week and go past the last sixteen? These are the main intrigues of the season’s third Grand Slam. Now it’s time to go into details. Once in a blue moon Dotennis team considers Andy Murray to be the key favorite to the starting event. Murray keeps showing very decent tennis after his April wedding. The Briton brilliantly performed on clay and forced a considerable wobble out of Novak Djokovic in the French-Open semifinal. Murray wasn’t far from achieving his finest individual win. 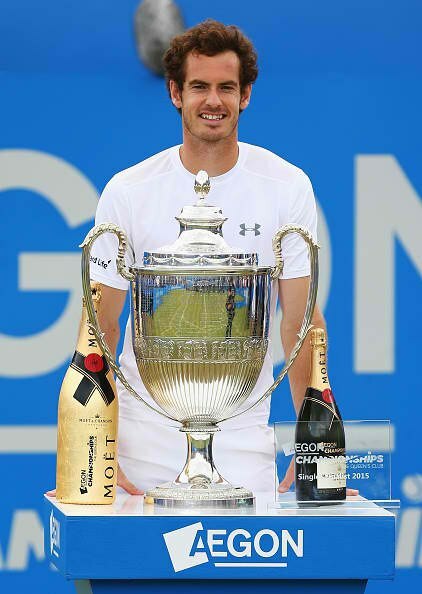 As for the grass portion of the season, Murray proved it that he’s able of winning the title himself without any fortune at all (but, of course, the star power has never made any bad to anyone). Murray’s service and return play is amazing. The Scot makes very few mistakes, has good court placement and feels the ball. What is more, he seems to have got rid of his mental issues and is ready to triumph on his favorite lawn surface. All in all, Andy will try to beat seven rivals to lift the Wimbledon 2015 title. Being World No. 1, Novak Djokovic boasts good winning chances as well. His route to the third Wimbledon title looks smooth. After his most hurtful upset at the French Open Novak has to be strong to keep moving. And we guess that the Wimbledon triumph may be a decent consolation for the Serb. Dotennis team isn’t fully satisfied with Djokovic’s performance this year. It’s rather Federer and Nadal who has given ground to Novak’s success, than his own job. Juan Martin del Potro has disappeared, Nishikori is undercooked, Murray has only started showing high quality tennis. Nevertheless, we can’t but agree that Novak plays very productive tennis. He has taken all Masters he was enrolled into. Even Federer at his best times wasn’t capable of doing this. But this time Djokovic will be very vulnerable. He lost one of his mostly desirable matches and should have lost his confidence. 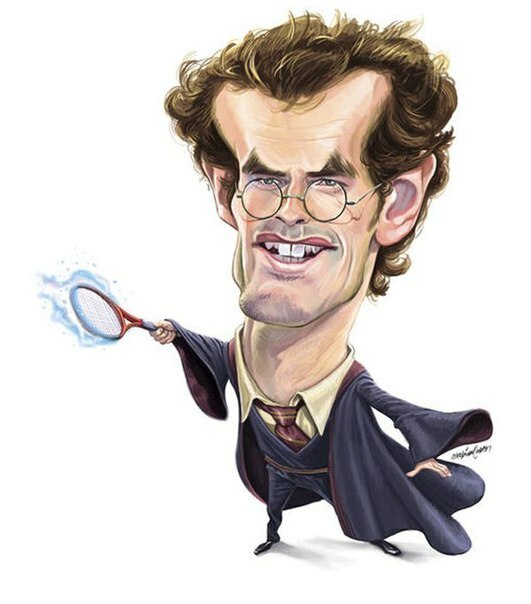 Moreover, now his rivals know that Djokovic can be outplayed and will seriously challenge him. Throughout the Wimbledon fortnight we’ll make 7-12 tips. It’s high time to subscribe to our mailout, start cooperating with our service and win pretty good money. Shall you bet $100 each time, you’ll finish with $300-400 as we did at the time of the Australian Open championship (+40% to the bankroll) and during the Roland Garros (+20% to the bankroll). And don’t forget about the guarantee we offer to all our followers: we’ll keep mailing you our tips until you get +20% increase to your bankroll. Last year Roger Federer proved it that he was still in play. This time the Swiss will definitely compete for the Wimbledon crown again. Roger’s serve works out and this is one of the key components to succeed on the grass. In addition to that, Federer has claimed his record-extending eighth Halle title and his confidence must be on good level right now. It’s very important for any athlete to know that you’re strong and dangerous for your opponents. But as it often happens there are some players that may threaten Roger’s possible success. But we’d like to notice that grass is the best surface for Roger. He seems a new man on it whose physical resources are unlimited. In principle, shall Roger reach his top form by the second week of the event; his physical stamina will allow him to pretend to the title. After we’ve mentioned three of the main favorites, let’s try to list those who can shake up the men’s draw. Stan Wawrinka. The Swiss is very dangerous in best-of-five-set matches. Hardly anyone could expect his Roland Garros triumph, but now his odds are definitely higher. It’ll be interesting to see how he’ll acquit himself. But personally we don’t believe in him. As people say, shells never hit the same place twice. In terms of tennis, it’s almost unreal to play in peak form twice within such a short period of time. But if Stan manages to do this, he’ll change our view of the pre-tournament preparation. 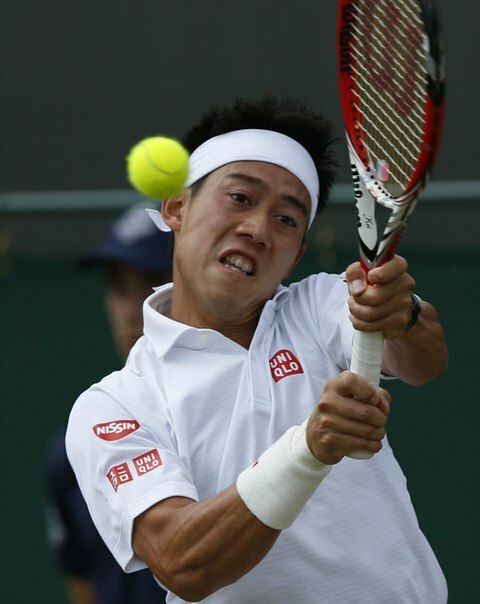 Then goes sneaky Kei Nishikori who “suffered” from injury before the US Open in 2014 and suddenly advanced to the final round. The Japanese may repeat something of the kind now. Right now he’s well capable of beating any of the men's draw. So let’s wait and see what he’ll show us. Grass is very suitable for his tennis, but it’s not quite evident what tools he’ll use to upset Murray and Djokovic. It’s very hard to compete for the title without a consistent and sharp serve. Marin Cilic showed very strong tennis at the Wimbledon last year. Judging by his French-Open performance, we may assume that the Croat is in good form. But at the same time he’s a bit undercooked and makes too many errors. Among all other dark horses, his chances look very promising. Jo-Wilfried Tsonga is a pig in a poke of the event. Coming off a standout French Open, he hasn’t participated in any events on the eve of the Wimbledon Championship. Let’s wait and see how this tactics (borrowed from Novak Djokovic) will affect Tsonga’s play. Another player to watch is Kevin Anderson. Despite little winning chances, Kevin is a very unpleasant opponent for anyone. It takes a lot of efforts to outplay the South African who has figured out how to win matches. His playing arsenal contains a huge serve, good return and decent baseline play. Viktor Troicki has made one of the best stories in tennis this year. His booming serve and consistent baseline play may be very challenging. Ivo Karlovic will also make life difficult to his rivals. Ivo has recently set a new record for aces in a three-set match, firing 45 to beat Tomas Berdych (not the worst returner on tour) in Halle. The Croat will be a big challenge to such guys as Novak who has troubles facing big servers like Isner and Karlovic himself. Just think it over: what can you do when every second serve is an ace? – Right, hardly anything. And finally at the end of our list are Rafael Nadal, Milos Raonic and Gilles Simon. The Spaniard is now like a runner who tries to recover from leg injury. And generally he makes a good running but then stumbles and falls down. Thus, it’s very hard to explain his loss to Dolgopolov at Queens after a tune-up win in Stuttgart. He comes in with almost no winning chances in such a tough competition. But still, he is Rafael Nadal. Gilles Simon is always a threat. The French has no chances to make it to the final round, but we won’t write him off. Truthfully saying, such players as Gilles Simon almost make a dent. They can cause a lot of troubles to the favorites thus decreasing their title chances. Gilles may easily upset Federer and have Djokovic and Murray by the balls. Grass is the French’s favorite surface and his current performance is very attracting. Gilles Simon is in good form ahead of the Wimbledon. And the last but not the least is Milos Raonic. Yes, the semifinalist of the last year has recently lost it to Gilles Simon but showed very good baseline play at the start of the grass season. The service play should be improved a bit but the Canadian knows how to tune it. And if in previous years Milos looked awkward on the grass and mainly benefited from the serve, now he’s a rather dangerous baseliner and shall be taken into account. Generally Raonic is a very promising dark horse of the upcoming occasion, a fourth-seeded, so to say.